On April 20, 2016 at approximately 11:00 AM an unknown man stole a tool bag from a truck parked outside of Leaping Lizards, a trampoline and inflatable bounce-house venue, located at 1065 Wilcox Court in Kingsport. The bag contained assorted hand and power tools with a combined value of nearly $700. The tools belonged to a worker who was on the roof repairing the HVAC system. While the photo is somewhat blurry, the video clip is significantly more clear. He is believed to be a heavy-set white male, approximately 6 feet 2 inches in height and weighing roughly 240 pounds. He has gray hair and a long gray goatee. 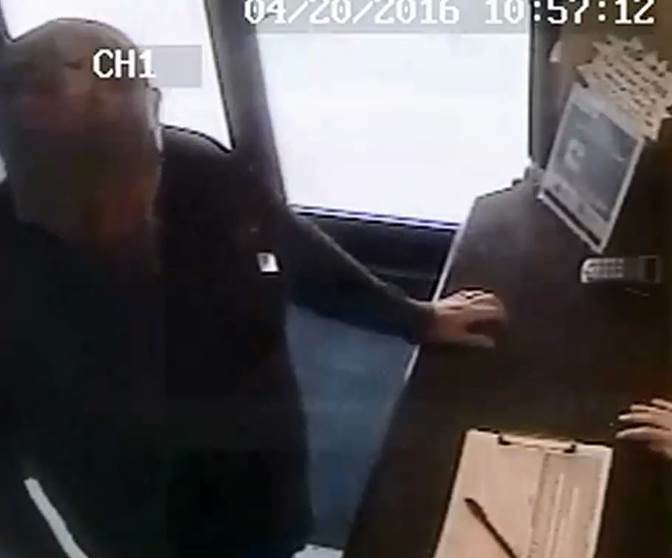 At the time of the theft he was wearing blue jeans, a black long-sleeved shirt, and a camouflage pattern ball cap.